We receive a lot of questions about Social Security Number Fraud which is often tied to Identity theft. How would someone determine if a person who is currently using a valid Social Security number is actually the person the number was issued to, and is not just using a valid number in a fraudulent manner? Say for example: Person ‘A’ has a valid social security number and person ‘B’ lists the number on their employment records as their social security number. Your Free SSN verification would show the number is actually valid but the number would be being used in a fraudulent manner. Yes, a Free SSN verification would most likely show the SSN was valid. The only way to figure out if it’s being used fraudulently is by conducting one of a few professional investigator-assisted searches. If you are an employer checking on a current or former W-2 employee you could use the Social Security Number Verification Service, SSNVS from the SSA.gov. Otherwise, we would recommend one of the following four searches. Any one of these investigator-conducted searches often reveals all the names reporting the SSN with the address history. The amount of information provided by these different reports vary, however most of them typically include dates the address information was reported to the various bureaus and reporting agencies. This would give you a clue as to who actually established the SSN first. Typically the person who was issued the number first establishes it first (establishing credit, utilities, etc). Sometimes immigrants who have established themselves (went thru the process of getting a work permit or visa) and obtained a SSN so they can work legally share the number with relatives or friends. Sometimes a loan application is completed using a slightly different name or a variation of the name the SSN was actually issued to. Even if the loan is turned down for credit the name is actually reported in the credit bureau records. This establishes a new or additional name attached to the SSN. It can sometimes be difficult to know who the actual number was issued to. If you are an employer as registered with the IRS and need to verify current or former employees (only for wage reporting [Form W-2] purposes) you may use the Social Security Number Verification Service (SSNVS) found on the SSA.gov web site. If you not an employer or you are trying to verify a prospective employee or other individual (independent contractor or any other 1099 type of employee) you would need to use a third party investigation service and still need to abide by FCRA and other employment laws. ABOUT THE AUTHOR: Noah Wieder is President and CEO of Intelligent eCommerce, Inc. and the founder of http://www.bestpeoplesearch.com/. 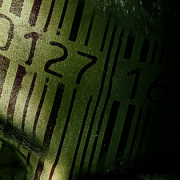 Bestpeoplesearch is a private investigtor portal and Information Retrieval Services web site where investigators offer searches to businesses and individuals with specific search needs. 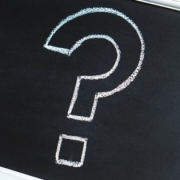 How do I find out if someone is deceased? In 2002 my social security card was used fraudulently.I was a minor at the time. But nobody seems to see that. Im now twenty three if i know whos been doing it can i make the person responsable pay for that mistake. Cause im suffering i cant get anything in my name like buying a car, cell phone, now im in the process of buying a house and whats holding me back is this stuff on my credit cause of my social security number was fraudulently used can you help me. Sorry to hear about your troubles, as we’ve actually heard of family members abusing minors SSN info when they mess up their own credit. It’s really a bummer. It is a hassle to repair but but there are some steps you should take to help the process. 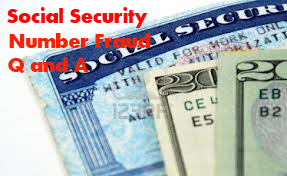 If you suspect that your Social Security number was fraudulently used call 800-269-0271 to report the fraud. Tips & Advice on How to avoid eBay fraud Can I get someone’s credit report?